Sue specialises in services marketing and has worked across a number of areas including corporate communications, and recently led on sustainable travel promotion with Clair Visco before joining Transport Service Solutions. A qualified Graphic Designer and Marketer, Sue views marketing as a holistic activity and is passionate about building great working relationships and creative problem solving. 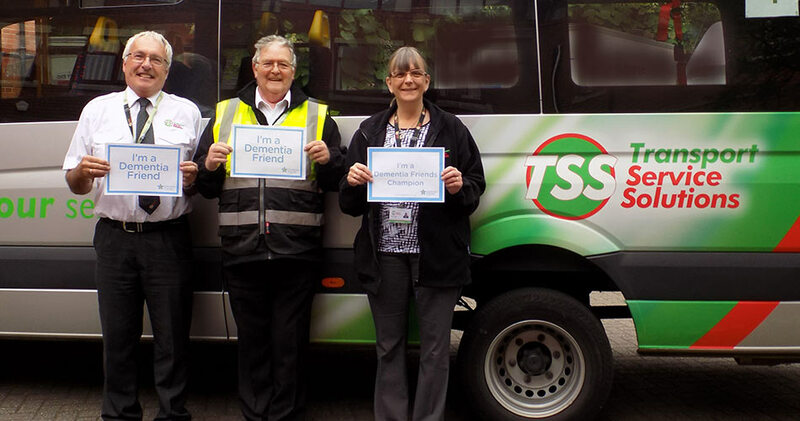 Sue's mission is simple - to tell as many people as possible that TSS is here to help people travel safely from A to B, whether providing 'home to school' transport solutions for big schools on a daily basis, helping small groups to get out and about more, or working with destinations to increase visitor numbers. Talking is good - and at TSS we're more than happy to discuss things over a cuppa! Paul Colman, Eze-Talk and Lauren Readdin like this. We recently joined Cheshire East's Dementia Action Alliance, an important step in making our services even more accessible to all. We take great pride in our customer service and our 'Dementia Champion' Pat is helping all staff work towards becoming 'Dementia Friends'. We recently became members of Cheshire East's Dementia Action Alliance. Sue Benson (Transport Service Solutions) updated profile photo. Sue Benson (Transport Service Solutions) updated profile information.